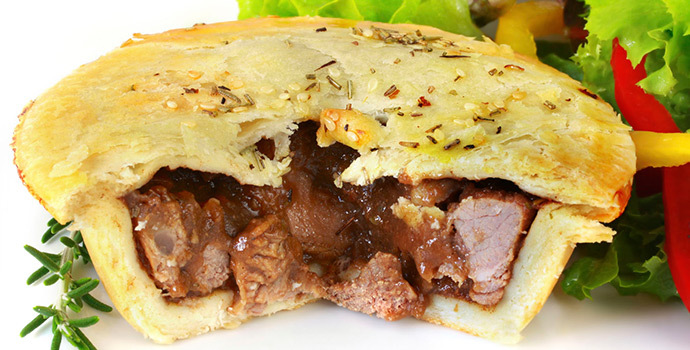 Ridgey Didge offers an extensive range of over 30 varieties of gourmet beef, chicken and vegetable pies, together with a delicious range of sausage rolls and pastries. All made and baked fresh every day. I scream, you scream, we all scream for Ridgey Didge Ice Cream! We have an extensive range of over 20 varieties of gourmet ice cream including sorbet flavours. Flavours include Rocky Road, Baileys and Scorched Almonds and Rum and Raisin. We also have an excellent range of the favourite flavours for milk shakes and thick shakes. The big news for Ridgey Didge Pies is that we have just introduced a carvey to our store. You can now combine our tender roast beef with either fresh chips, popular potato bake, vegetable back or mushy peas or mashed potato, it's your choice.